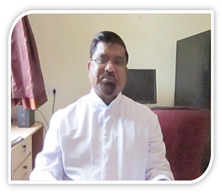 Don Bosco Nerul, warmly welcomes Fr. Bonnie Borges to take over the position of Manager/Administrator of this prestigious institution. He has been a Principal In a couple of Don Bosco Institutes and has held the post of a Youth Animator at Wadala. He is enthusiastic and committed to the task of building up this Institute and preparing the Students to take their rightful place in society, when they leave the portals of this Institute. Fr. 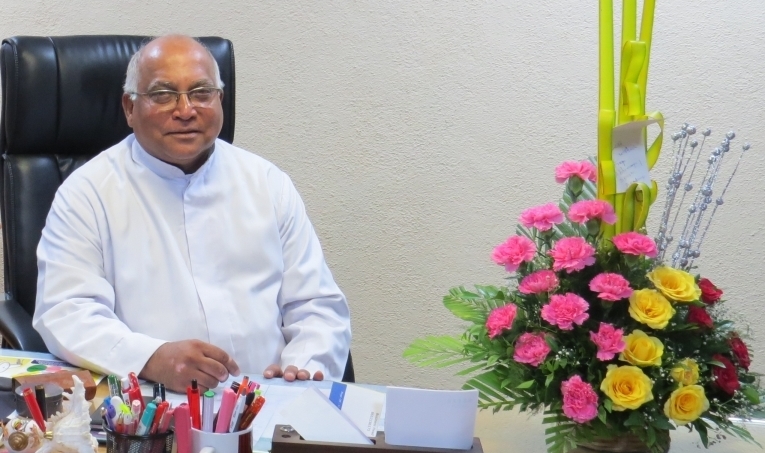 Donald Fernandez takes over as Principal in 2016 after his two year tenure in the same post at Don Bosco, Borivli. I am excited and honoured to welcome each and everyone of you to the beginning of a new scholastic year. This year will be a year of setting and reaching attainable goals, working harder and smarter and taking our Junior College and student achievement to the next level of GREATNESS. At Don Bosco's we are dedicated to a Student - Centered Program that promotes academic excellence through an enriched rigourous inter-disciplinary curriculum. As a staff, we are here to support all of you, by any means necessary, to ensure you reach your fullest academic potential. I look forward to working with you, the staff, your parents, and the members of the community to provide a high quality education that you deserve. I am confident that all of you have the capacity and ability to meet the expectations and the demands of our new classes and teachers. Our goal is to ensure that all students become critical thinkers, active problem-solvers, inquisitive leaders, diligent researchers and prolific writers. We do all this to prepare you for the demands of the real-world so you may become productive citizens, become our future leaders and contribute and/or give back something possible to community. I look forward to working with all of you and pushing you to all academic heights. On behalf of the management and staff of Don Bosco Senior Secondary School, I want to again welcome all of you and thank you for being a part of the Don Bosco Community where SUCCESS IS NOT AN OPTION... BUT AN EXPECTATION. We are truly on the path of GREATNESS. .
Navi Mumbai - 400 706.